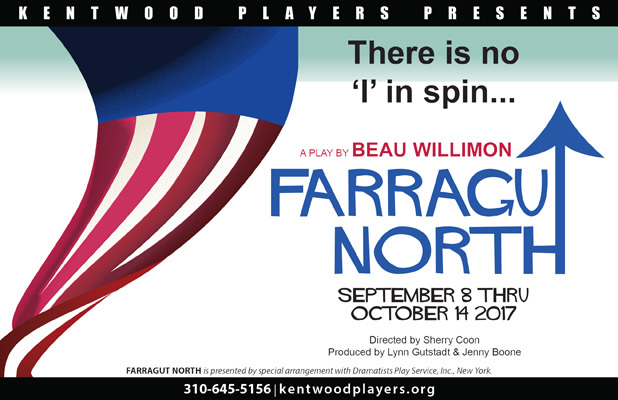 Farragut North is a 2008 play written by Beau Willimon (House of Cards), loosely based on former Governor Howard Dean’s 2004 Democratic primary election campaign for U.S. President. Set in Des Moines in the weeks leading up to Iowa’s statewide caucuses, the play is “a classic tale of hubris set against a contemporary landscape – about the lust for power and the costs one will endure to achieve it.” No trick is too dirty, no lie is too outrageous, no spin is too ingenious if it gets your candidate over the top, including the dirty tricks and brutal backstabbing of those conducting the spin war for aspiring presidents as they attempt to reignite our tapped-out passion for political one-upmanship. The play, which had its West Coast Premiere at the Geffen Playhouse in 2009, may not be able to compete with the stranger-than-fiction cast of our recent election battle or offer us any stop-the-presses scoops about our presidential campaign culture, but it does capture the frenzied scheming and counter-scheming of would-be Washington kingmakers. Campaign manager Paul Zara watches as reporter Ida Horowicz and Press Secretary Stephen Bellamy relive past conflicts. Press Secretary Stephen Bellamy is shocked by poll numbers provided by opposition campaign manager Tom Duffy. Intern Molly tries to convince Press Secretary Stephen Bellamy that the election is not lost. A waiter shares his immigrant family’s story with Press Secretary Stephen Bellamy. Campaign Manager Paul Zara looks on as staffer Ben shows an unwelcome press release to Press Secretary Stephen Bellamy.